It was December 1974 when Margaret Winslow arrived in Punta Arenas, the only city on the Strait of Magellan, prepared to begin her doctoral thesis project. With both excitement and dread, she looked forward to working on familiar rocks in a dynamic region and exploring Tierra del Fuego and Patagonia. But first, she had to cross the trackless southern Andes on foot. In the sequel to her award-winning travel-adventure memoir, Over My Head, Dr. Winslow recounts her ongoing field experiences from the 1970s through the 1990s during intense political paroxysms in Chile and Argentina. Her unforgettable adventures include being arrested and interrogated by the Argentine Navy, a close brush with death on a flight over the Strait of Magellan, and the rescue of an injured child at an isolated farm. Her fascinating narrative includes the frightening details of an assault by a fisherman that hurled the previously intrepid traveler into a state of intense agoraphobia that she had to overcome if she was to survive, return to the wilderness, and work mostly alone. 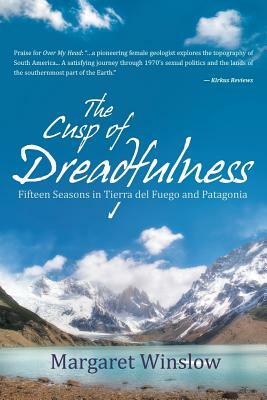 The Cusp of Dreadfulness continues a geologist's recounting of her struggles through the wilderness of southern South America during a time of brutal transformation.